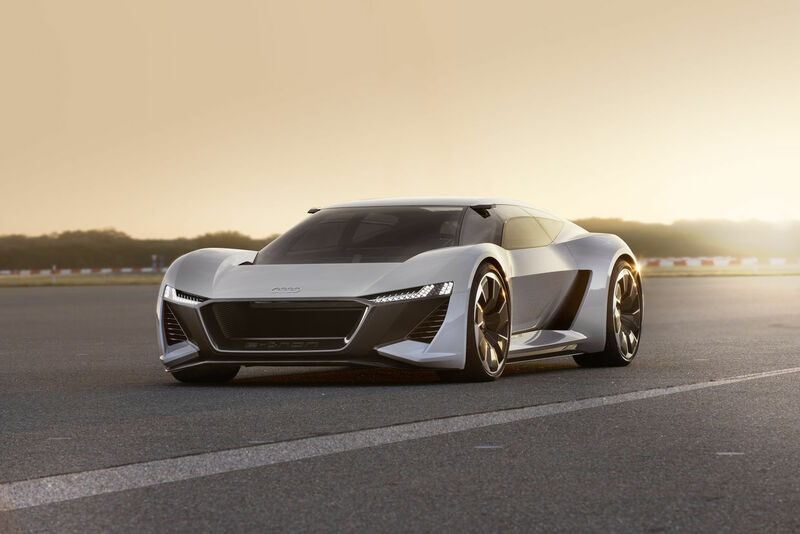 "Audi präsentierte erstmals eine Designstudie bei der Pebble Beach Automotive Week in Monterey/Kalifornien. 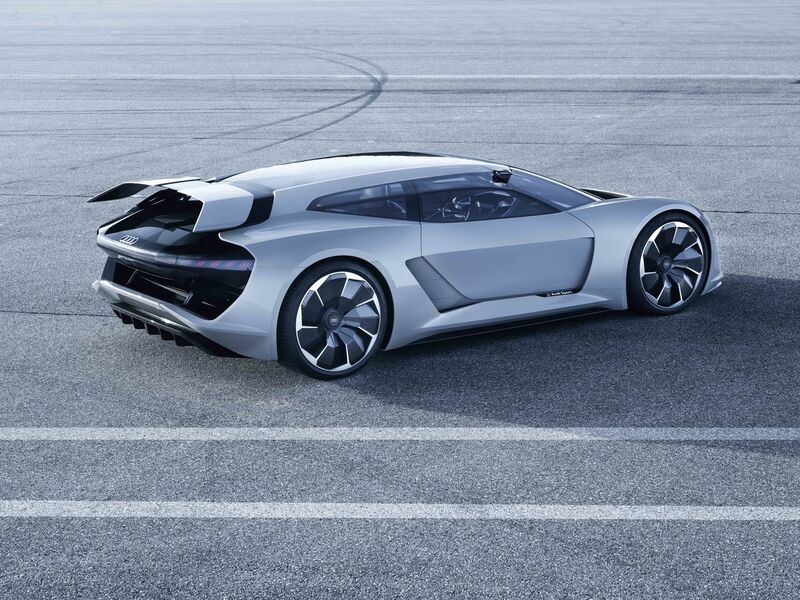 Der rein elektrisch angetriebene Audi PB18 e-tron zeigt sich als radikale Vision eines Hochleistungssportwagens von morgen. Breit und flach, sichtbar von Windkanal und Rennstrecke inspiriert, signalisiert er bereits durch seine pure Präsenz die Bestimmung für den Grenzbereich." so lesen wir im Audi-Mediacenter. Inspired by motorsport - Born at the Audi Design Loft in Malibu, California and debuted at Monterey Car Week, the PB18 e-tron concept presents a radical vision for the high-performance sports EV of tomorrow. Fusing the technological DNA of the Le Mans-winning R18 e-tron with the future-forward aesthetics of the luxury Aicon concept car, the PB18 e-tron concept combines racetrack excitement with everyday usability. 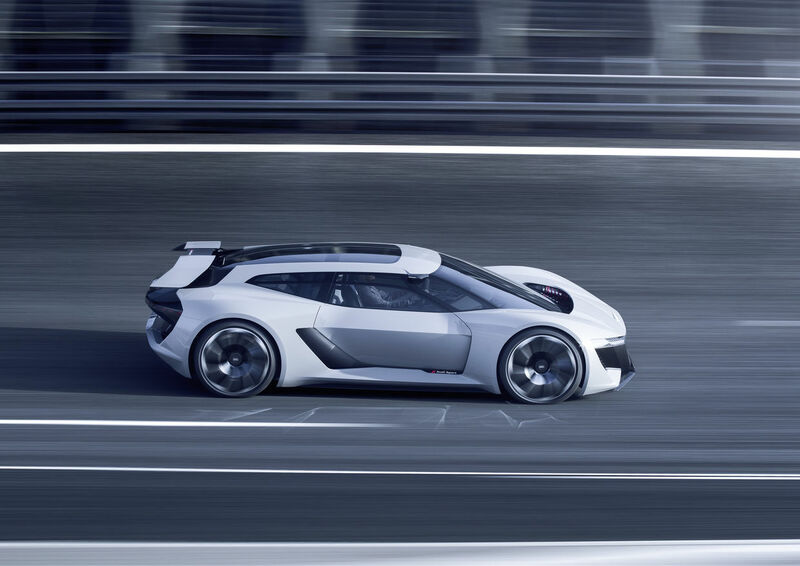 Designed for drivers - The PB18 e-tron concept embodies a fundamentally driver-centric sports car — there are no piloted driving systems to add weight, and its relatively lightweight construction helps propel it to speeds above 186 mph. It features a large-format cockpit which is a freely programmable unit and can be switched between layouts for optimal racetrack- and road-driving. The driver’s seat and cockpit are integrated into an inner monocoque shell that can be slid laterally to accommodate for one- or two-person seating. 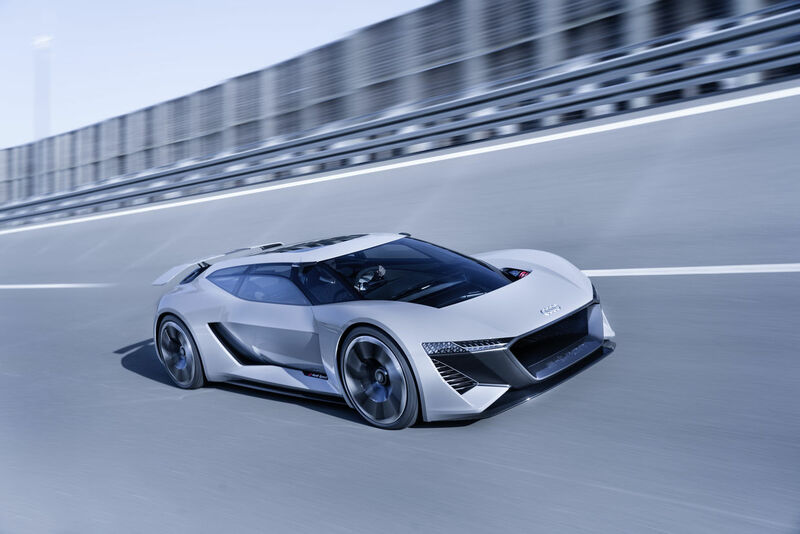 Electrifying with electric quattro® all-wheel drive - The all-electric PB18 e-tron concept features three electric engines — one up front and two in the rear — which deliver power output of up to 150 kW to the front axle and 350 kW to the rear. The 16.6 cu-ft capacity offers a clear bonus in terms of cargo space — usually a deficit in sports cars. 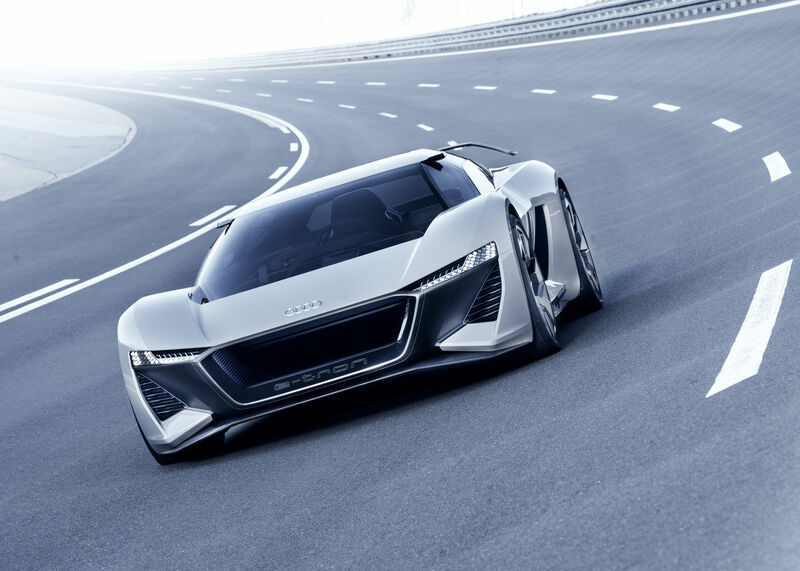 And equipped with legendary quattro® all-wheel drive, the PB18 e-tron concept is an all-electric sports car that is as exhilarating as it is distinctive. Like always with Showcars, the post production PICTURE SERVICE had a short timeline for this production, but the results speak for themselves. Photos: Heinrich Hülser. About : picture:service – the person behind is HEINRICH HÜLSER. 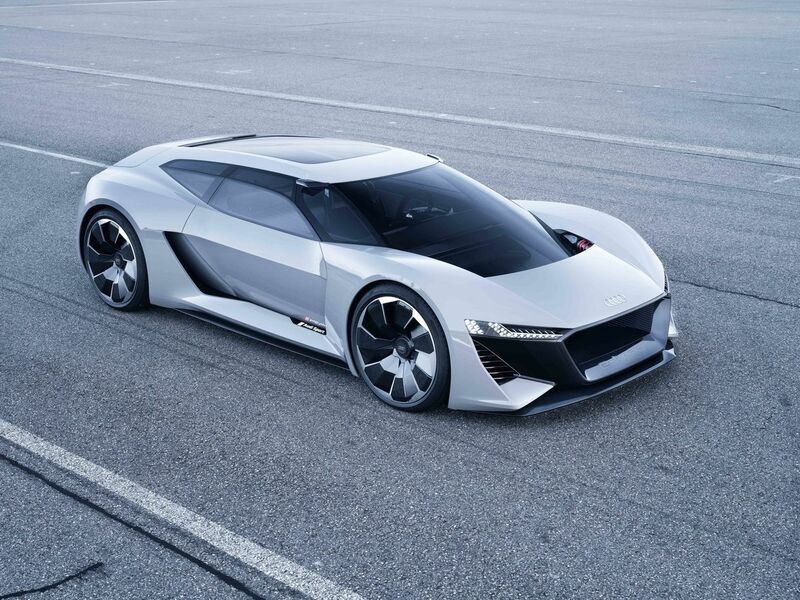 The car enthusiast studied visual communications in Krefeld and marks himself as a carfreak. Soon he made his passion to profession. Standstill is a No-Go for HEINRICH HÜLSER. His inner urge to perfection and individuality, his disposedness to extraordinariness always leads him to new looks and techniques. His own standard: to figure out the unique nature of each single car, play it to the gallery and never shoot one motive twice. HEINRICH HÜLSER is supported by his contributor SEBASTIAN BACK. picture:service GmbH is located in Munich, but the shootings are on locations, racetracks and studios all over the world.